Inspiro Café offers a quality service to its clientele, with a sophisticated menu to match its premises striking architectural design. 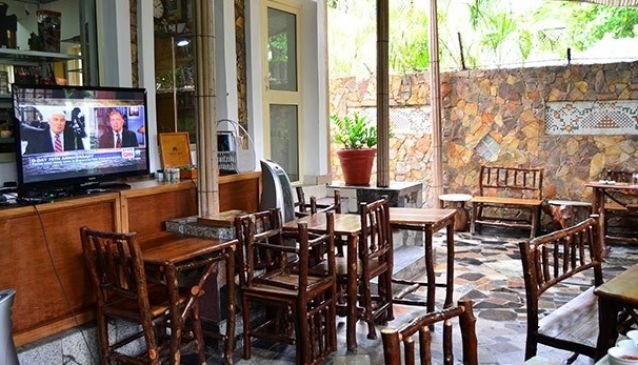 Inspiro Café located along Joseph Nahnan Close off Karimu Kotun street a major high road in Victoria Island, boasts the culinary prowess of its seasoned chefs that ensures patrons repeated their visits everytiime. Clientele can get to enjoy a fancifully primed two course meals from the a la carte menu prepared by the cheerful chefs at Inspiro Cafe. Inspiro Café often have great promotions ideal for family and friends who desire to spend quality time together while in Lagos.